All our staff are volunteers who are committed to our mission and freely give away their time and resources. Our oldest girls, who have been in our program for 10 years or longer, now volunteer to help and mentor the younger girls. Some day we hope our organization will be operated and administered solely by our alumni, Nepali girls who received scholarships and have since graduated and obtained professional positions in business, medicine, nursing, engineering, and other fields. 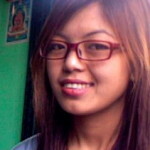 President of Empower Nepali Girls and in charge of all operations in Nepal. He was educated in England and trained as a mountaineer. He is from the Everest region, attended a Sir Edmund Hillary school, and qualified as a guide and environmental educator. He has lived and worked in various countries around the world holding positions in management and environmental education. As the Senior Program Administrator, Babita is responsible for the ongoing operations and day to day execution of the ENG vision and values. 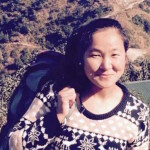 In August 2015, Empower Nepali Girls welcomed Babita as our first employee dedicated full time to helping improving the education and opportunity for the girls in our program. Babita is the embodiment of our organization, an example of a successful, professional woman, who is changing the lives of hundreds of girls in Nepal. Her intelligence, integrity and gentle manner is why our scholarship girls, their families, their schools and their communities respect and trust her. She is our ambassador for the work that Empower Nepali Girls is doing. Prior to this role, Babita was our General Secretary of the foundation in Nepal. She is a graduate student in social work, a model for our younger girls of professional excellence. We are honored that Babita has joined our organization. She is making a difference in the future of Nepal. Mr. Kumar Bhattarai has been associated with Empower Nepali Girls, serving as its volunteer Vice-President since 2012. He is well qualified to perform this role as he has been involved in various endeavors within Nepal’s educational system for more than 20 years. Presently, he is the principal of Rising Rays Boarding School in Kathmandu, Nepal and works in E.N.G. to help needy female students both in government and private schools. Rising Rays Boarding School has previously received a National Education Award from the government for his efforts as principal there. Mr. Bhattarai has also been serving the National Private Boarding Schools’ Association Nepal as its Central Treasurer. He is active and visits many schools across the country, advising other principals in how to improve their schools and educational programs. Additionally, as a member of the School Sports Development Committee he tirelessly works with students across Nepal up to the Class 10 age group to expand and reward their participation in school sports competitions. Empower Nepali Girls is thankful for his participation in the improvement of education in Nepal. His work is a shining example of appropriate social service. The one thing I have always known I’d like to do with my life is to help people. Having spent the last three years working in the social care field, I have come to realize that my passion lies in helping people who are less advantaged. My motivation for becoming a social worker came about from my past experiences growing up. During my adolescent years I both witnessed and experienced families in crisis. This had a profound effect on me and after a process of soul searching as to the best use of my skills whilst at the same time satisfying a need to give something back, I have chosen to become a social worker. I believe in one helping hand more than hundred talking mouths. With a constant stream of receipts, budgets, school fees and supplies always needing attention, Funuru makes it possible for ENG to have money available to give scholarships and supplies to all our girls. We are so fortunate to have someone is so focused and caring helping us to turn donations people give into the reality of an education for our children. Empower Nepali Girls (ENG) firstly I heard about this organisation through Babita Gurung who is also my classmate. I started my journey as volunteer in ENG at the end of 2014. I partial participated in different activities at the end of 2014 with Babita Gurung. As a major activities started working for ENG after devastating earthquake. I went for a home visit of college level girl with Sara Roma. I helped her to visit those girls’ house and to contact with them. Then with Babita Gurung we distributed rice,lentil,oil and many more as earthquake relief. Then I also participated in similar program in Narayanthan. Similarly I got an opportunity to participate in health camp organized in Rising Rays School and also in Rhombus National School, Bhaktapur. As a activities We again with Patrice Moulton visited Rhombus National School, there we again distributed some sanitary items to our girls. Recently we distributed ENG Recovery gifts to those school which were highly affected by earthquake, where I assisted to recommend the name of the school in Bhaktapur. Now I am assisting ENG in career conference. Its an honor to be part of such organization which works for the empowerment of girl, which really works for us. I really feel proud to work for those beautiful smile of our little ENG girls and I am very overwhelmed to part of such beautiful family. 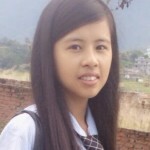 My special thanks to Babita Gurung who encourage me to be part of it and she is my true inspiration for her dedication towards ENG. All my efforts and dedication will last and always be with ENG and would also like to wish for peace, progress and prosperity of ENG. Since 2011, Arun has been helping ENG establishment. Inspired by our president, Pasang Sherpa, Arun joined ENG to help make a difference in social work. As a manager of a stationary factory, Arun helps ENG supply the paper and materials for the girls in our program. The stationary and tools are important components of what we provide our children throughout the school year. He is our best partner by not only providing stationary but making sure we have the transportation we need to get the materials to the girls. Most recently he was in Lamjong to help distribute school earthquake relief gift boxes. Chhusang Sherpa,17,sophomore student of science and technology at Valley Public Higher Secondary School,Kathmandu.Apart from my studies,I love doing social work.I have volunteered in several programs representing anti tobacco club,Leo club.i have volunteered in landslide and flood rescue program,blood donation program. I am a student of BBS (Bachelor in Business Studies). I have been volunteering with ENG since 2013. ENG’s helping my cousin’s sisters for their bright future by providing education for children who are very poor, so I joined ENG for helping for my side as well. ENG helps many girls who are neglected and financially poor, they also council their girls and lead them to a bright future. That’s why I love and enjoy volunteering in ENG. Recently our team in ENG distributed recovery gifts to schools which are hit by the earthquake. Dikki handled so many different aspects of this project, we can’t even list them all. From packing the boxes filled with things like footballs, printers, computers to going to the schools passing out the gifts, Dikki spread her smile and the message of education to these children. Jangmu Sherpa is social work student. She has been a volunteer for our organization for the last several years and is beloved by our children because of her patience and caring for them. Jangmu typically organizes and speaks at our gatherings, as well as helps distribute supplies to our children in remote villages. Helping every good man, like our President Pasang Sherpa, is an even greater woman, especially in the case of Empower Nepali Girls. 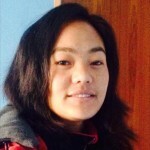 Pasang Khandu gives tirelessly in support the efforts of organization, behind the scenes she is serves everything for our team and she is the first face of the organization our volunteers see when greets and welcomes them to our team. She keeps our leadership team on the right path, helping us make the best decisions with her insight and wisdom. I have been schooling from a remote village in Nepal. I have completed PCL (Proficiency Certificate Label) Nursing from Tribhuvan University, then was hired by the Teaching Hospital to work in the ICU department. I actively participated in emergency management during the 2015 earthquakes. I have been volunteering with ENG since 2011, where I encourage girls to keep continuing their education which is essential throughout their whole life to empower women. Providing health care to ENG families of Nepal is necessary, and assisting in relief activities for earthquake survivors. I am also interested in social work and counseling. Pema goes from education to action! During the earthquakes in April, she joined our medical team and was invaluable in triaging and examining patients then helping them with their injuries. She did this in seven different camps ENG administered, which helped more than 1000 victims. Social Work is something I have always been interested in, especially working with children and families. I have always wanted to be able to make a difference to people’s lives. With social work I believe I can do this in a caring and supportive way. I want to assist people in solving their own problems as well as empowering them to develop skills so that they can do it themselves. Working in Social Services will allow me to devote my time and skills to help people function to the best of their abilities. Becoming a Social worker would not be just a career to me, it would be a vocation. Keeping track of our scholarship girls, who go to school in so many different villages is a daunting task. Thank goodness Prakash has been helping to enter and manage all our information into our database. With his efforts we are able to better understand the progress of the girls in our program, and making sure we can help and support each and every one of them. Most recently Prakesh was the instrumental in project planning and managing our entire Earthquake Relief Gift Distribution effort. Namaste, I am Pramita Tamang. I have passed my bachelor in sociology. I have been volunteering for ENG since 2011. My friend Babita encouraged to volunteer for ENG. During my time volunteering, such as home visits and earthquake relief programs, I have had a chance to learn so many things and connect with people and their daily life, and how they are suffering. ENG really helps for the girls who deserve and move forward for their bright future. So thank you ENG team and so grateful to be part of it. Pramita helps lead our home visits with our girls’ family. Its during this time that ENG builds our trust and relationship with the parents, girls, and their community. It is when the families share their difficult and sometimes heart breaking stories, and its when our volunteers, like Pramita, give the girls and their families the confidence that the future with education will be better. I have passed my +2 (higher study) and I have been planning to go abroad for my further studies, as I was new in the locality where ENG’s main office is located. I came in Pasang Sherpa, the President of ENG, and I was asked by Pasang Sherpa to volunteer. As I’m always keen to help others, I immediately agreed for the volunteering, I was happy to volunteer for ENG as I found how they helped needy girls. During the earthquake relief, Samir was one of our active volunteers in Kathmandu. Because he is fluent in both English and Nepali, he was a key interpreter for our US medical team and the hundreds of Nepali patients that our team looked after.